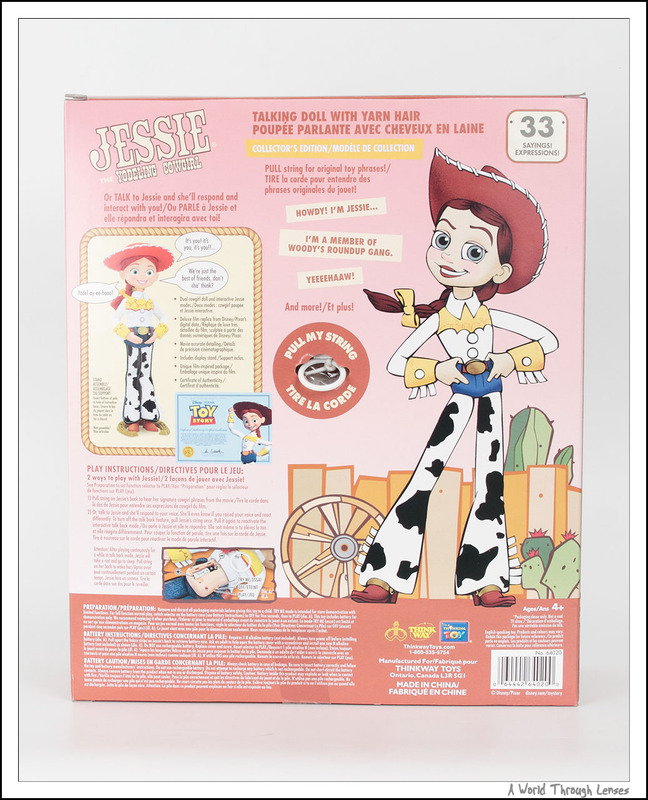 Just like Woody and Buzz, Jessie also come with a certificate of authenticity. 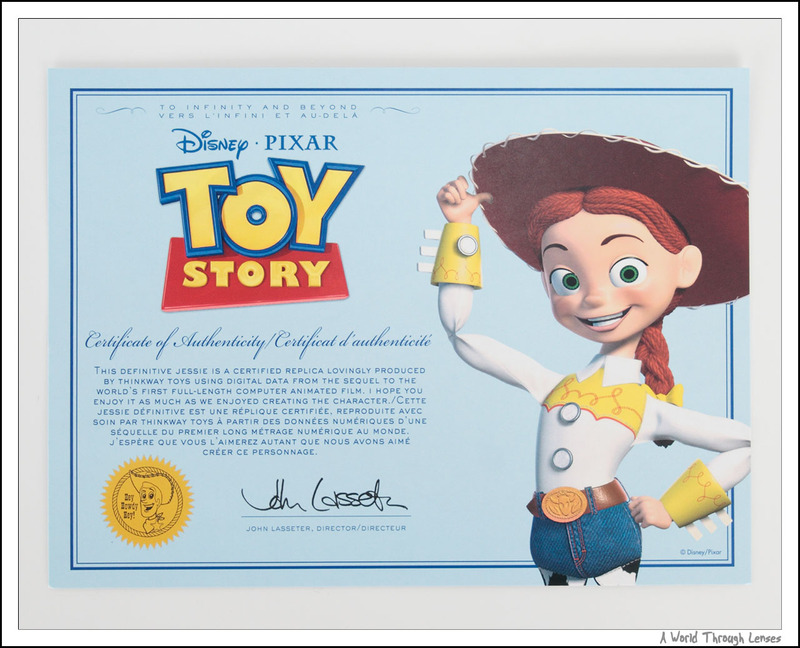 And just like Buzz, the certificate is packaged flat in the box. Maybe Thinkway Toys finally got this part right. This is the one thing I see that Thinkway Toys has done right, or rather, has corrected in this series of toys. 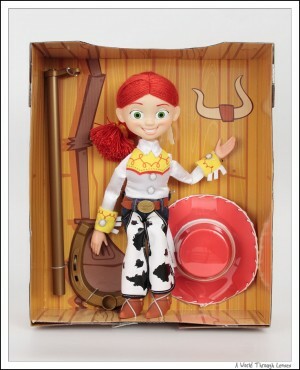 Here’s Jessie out of her box. 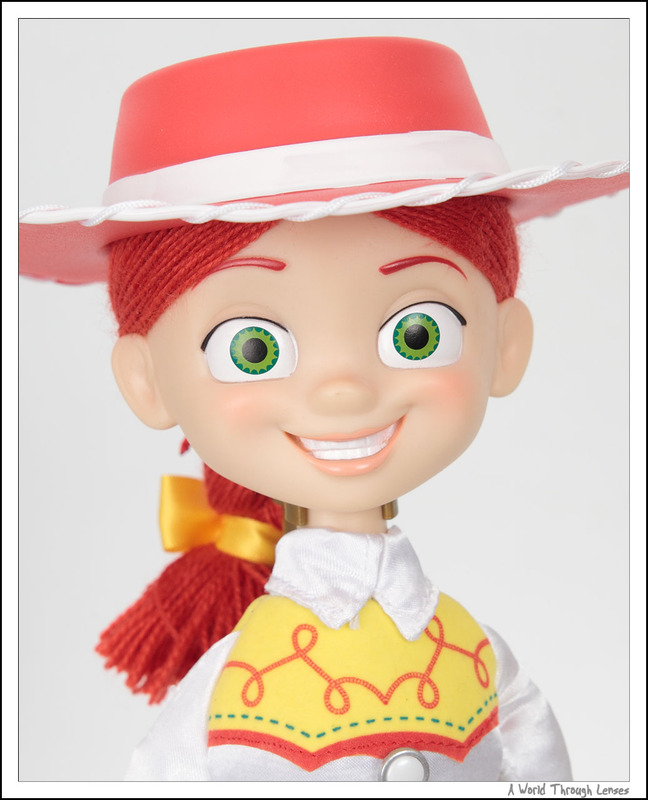 Nope she’s not Stinky Pete the Prospector, she definitely come out of box and is glad to do so. Her doll stand has a different design, the hinged part from Woody’s stand base is gone – Jessie’s stand is one solid piece. The holder also seems to work a lot better, I’ve taken Jessie down and put her back into the stand a few times, and I don’t see significant plastic fatigue on the holder. 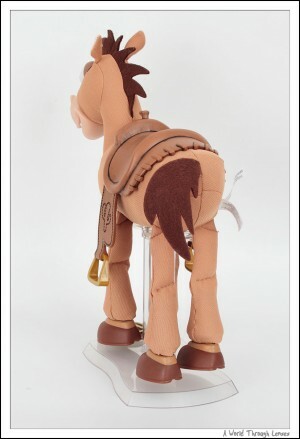 Now her pony tail is definitely way too thick, I don’t know how they can market this as an accurate replica while something this obvious is left in the product. Clearly they don’t want to spend any time in designing a proper wig for Jessie. I’m glad that my Dollfie Dreams all have much better designed wigs. But they did make Jessie’s pull string ring the correct size. 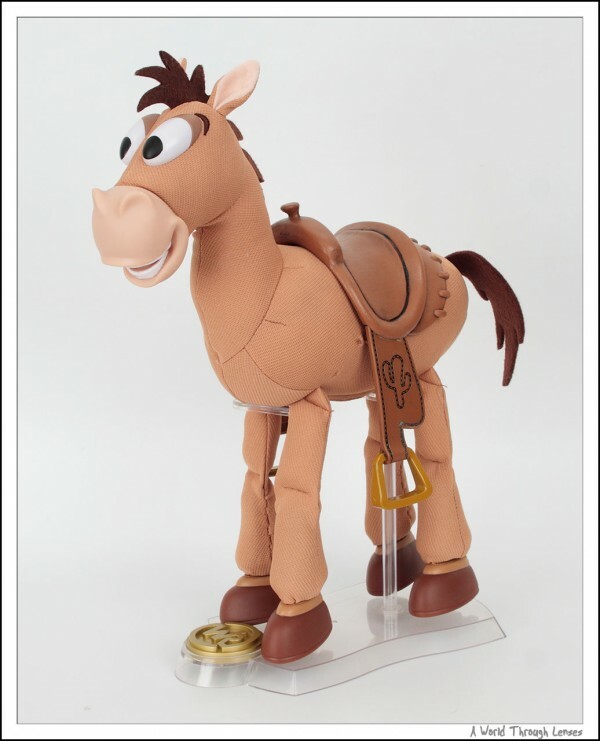 Woody’s pull string ring is way out of proportion. So that’s two things Thinkway Toys has corrected. 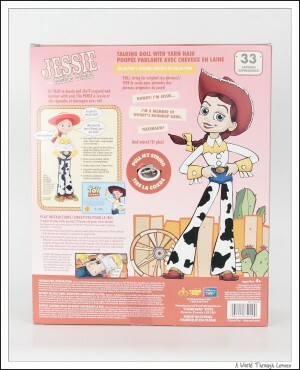 Now what’s with these ugly large product labels on Jessie’s left leg? You can see that clearly on her backside shot. They are not there on Woody, why is it that they have to be here on Jessie? Did some corporate lawyer just made a pile of money while making our toys look so much uglier? This is definitely a turn down for being an accurate replica. There are certainly no such labels on Jessie in the movie. 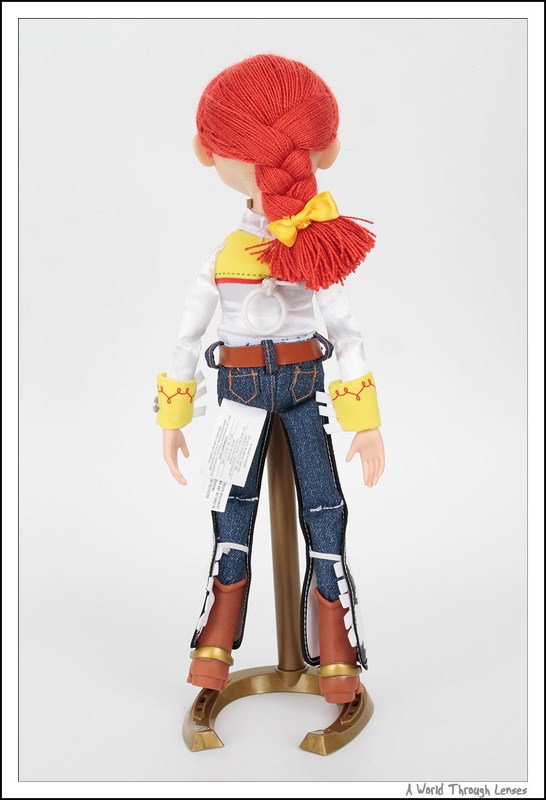 Just like Woody, she comes with her cowgirl hat with stitches at the edge. 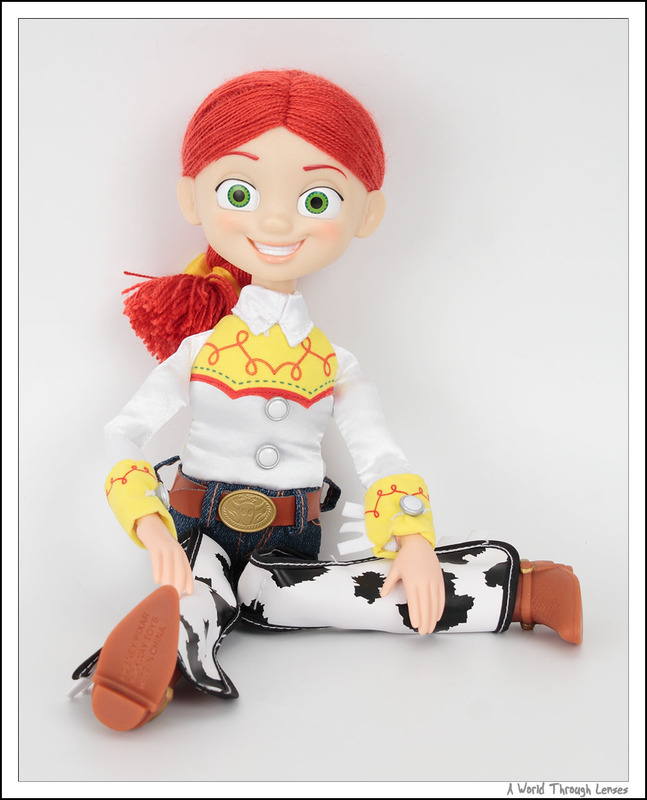 And just like Woody, Jessie is not poseable. Without her doll stand, she will fall flat to the ground. You will have to sit her against something for her to be in some shape to take a photo. And there are very limited way you can pose her this way. Now let’s talk about quality. If you have read Part 1 of my Toy Story Collection post, you know that I’m less than thrilled about Woody’s paint quality. Has Thinkway Toys improved when they released Jessie? 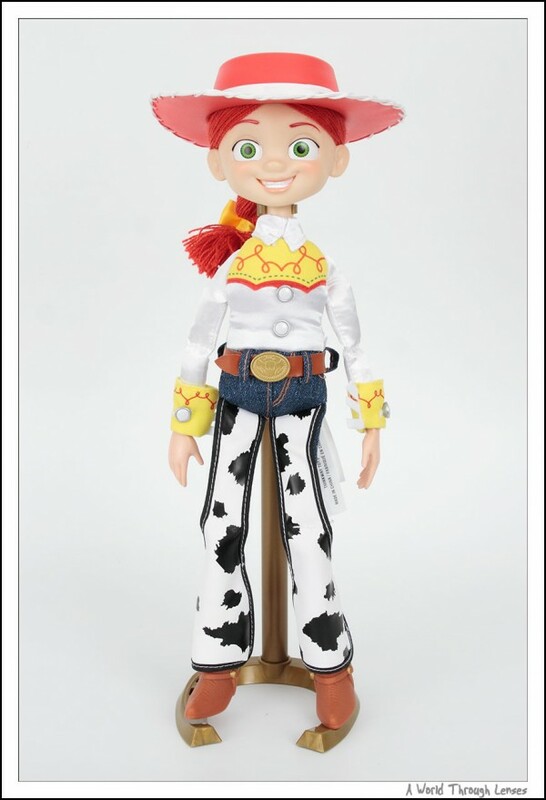 After all Woody and Buzz are released as part of Toy Story Collection Wave 1 in fall of 2009, and Jessie is release as part of Toy Story Collection Wave 2 in spring of 2010. Half a year has gone by, there should be plenty of time for improvements right? Unfortunately, it looks like Thinkway Toys simply doesn’t know or care to know how to make a collectable toy. 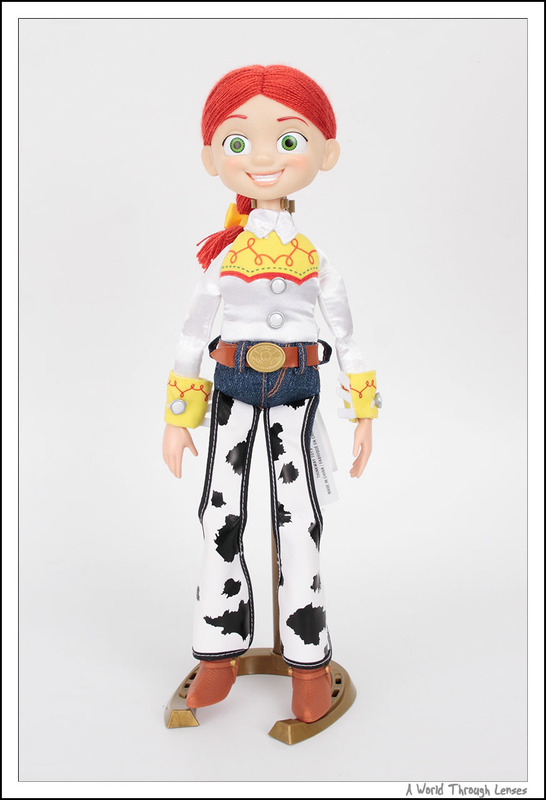 Jessie’s paint quality is horrible if not worse than Woody. In the store, I have to pick my Jessie out of more than 8 others. Some has paint marks on her face, a few has severe ships on her cheeks, one has minor damage to her hair, at least two has visible bad stitching job on her outfit, and two have dust and hair in the paint on Jessie’s eyes. 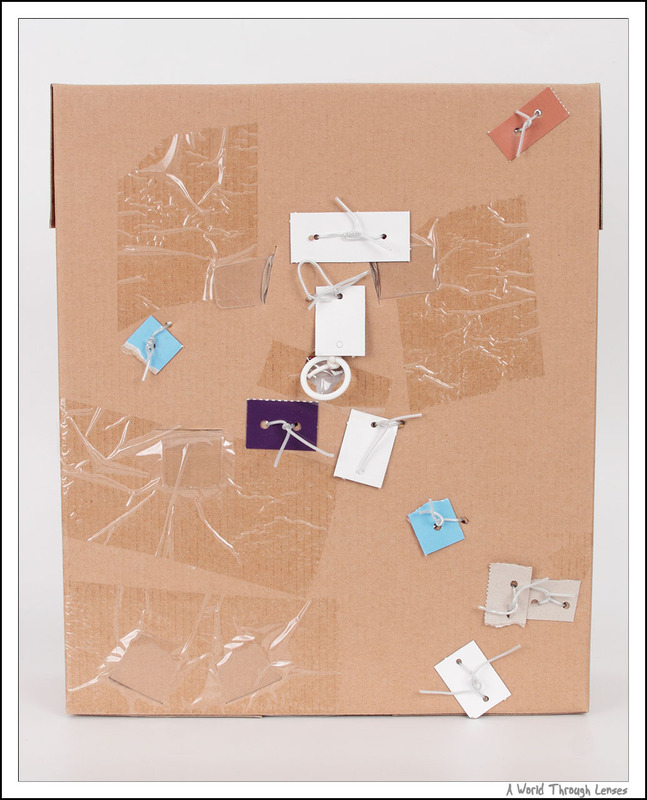 All of these quality issues are clearly visible through the box’s window, and I don’t know how it can be missed from the quality control process. Now I really question if there’s any quality control process at all at the Chinese factory that made these toys for Thinkway Toys. 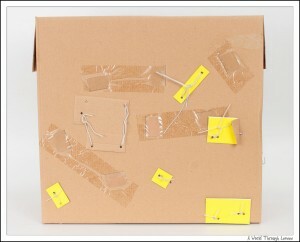 Now let’s look at the packaging, and you can tell it’s a very sloppy packaging job. I’ve got white, gray, brown, blue, and purple papers tabs, some are cut, some are teared, in the back of the packaging. Some might say that it’s just packaging. But I can tell you, the worse the packaging is, the worse the product it contains. Woody’s packaging is bad, but Jessie’s packing is worse. I did have to pick Woody in the shop, but I didn’t have to look at too many of them. I have to pick one out of more than eight for Jessie, and even then I wasn’t 100% satisfied. Woody’s Horse Bullseye is also a new character introduced in Toy Story 2. And Bullseye is also part of Toy Story Collection Wave 2 by Thinkway Toys. Just like all the other Toy Story Collection dolls I have bought so far, Bullseye also has a price tag of $60 CAD. 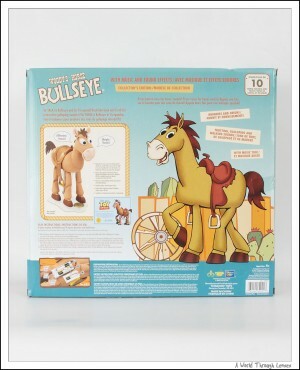 From the look of it, Bullseye doesn’t have nearly as many features as the rest of the toys. Bullseye is a horse, it doesn’t speak, and there can only be that many different horse sound it can make. (It also rumbles.) Yet it is selling for the same price as the rest of the gangs. But for the sake of completing the collection, I bought Bullseye as well. 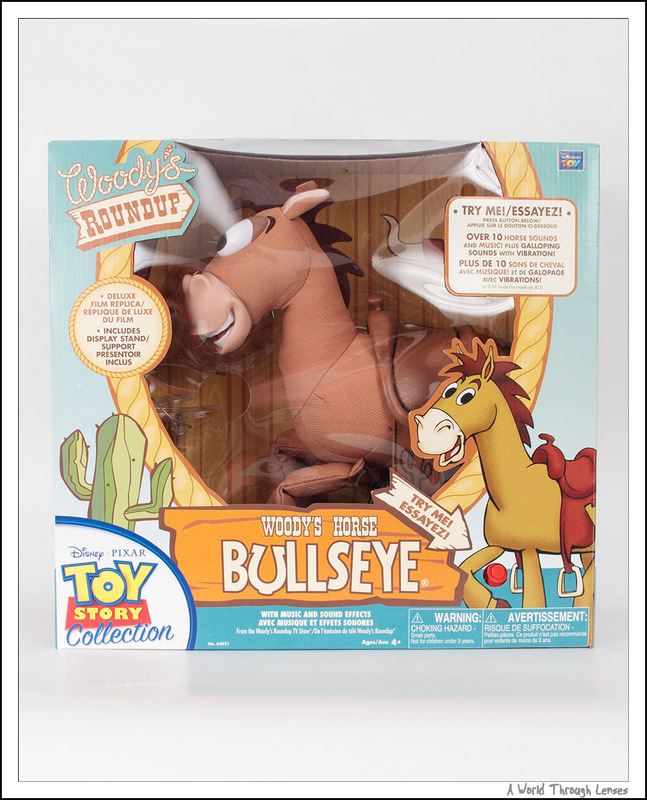 Just like the rest of the gang, Bullseye also comes with a certificate of authenticity. Here’s Bullseye out of the box. Bullseye actually looked pretty good. The only turn down is again those product labels to the right rear leg of Bullseye. It seems that is the universal “improvement” made in Toy Story Collection Wave 2 – namely the addition of product labels. Thinkway, Disney, who is to be blamed here? You two can duel it out for this one. As far as I’m concerned, these product labels should be hidden just like the one on Woody. Here’s a side view of Bullseye. Despite having the least functionality, Bullseye actually turned out to be one of the most accurate replicas in the series. For once, it actually looked just like the image on the certificate of authenticity. I’ve got nothing to complain here. By now, you should know how I am obsessed with packaging of the product right? Well here’s what I mean. Below you will see Bullseye’s packaging. Notice something different about those paper tabs? They are all cut and they are all off the same color – Yellow. Yes I know there’s one piece in the middle to the left that’s not yellow. But actually it is yellow, apparently it was put in inside out. Once I removed the wires, I see that paper tab is actually yellow just like the rest. And remember what I said about how the packaging is related to the product it contains? Well Bullseye is actually the best out of the four that I’ve bought. And not surprisingly, Bullseye also have a much better produce packaging. Buzz is also pretty good, and again packaging for Buzz Lightyear is way better than Woody and Jessie which are really bad. 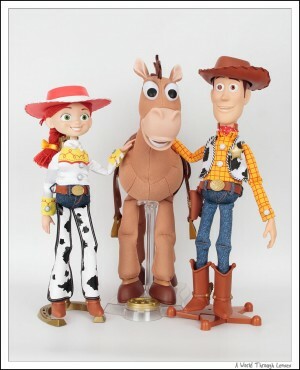 So now with Bullseye also in my collection, I can finally have a photo of the “Woody’s Roundup” gang. I was able to actually balance Woody on Bullseye. So I had to take some photos of Woody riding Bullseye. Here’s the entire “Woody’s Roundup” gang. And here’s all of my Toy Story Collection toys together. I know all I have been doing is complaining about these Toy Story Collection toys throughout my posts. The truth is just that after driving up and down searching for these toys around the city, I’m simply disappointed at the result. 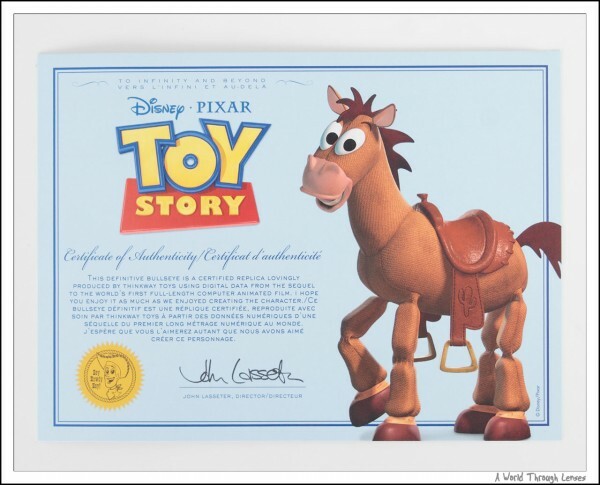 I am disappointed in the quality of these collectable toys that I got, and I am disappointed in the fact that here in North America companies do not know knows how to make a quality product, and I am disappointed that in the end I have nothing of equal standard to commemorate Pixar’s Toy Story movie series. These toys should have been quality toys, collectable toys, premium replicas, toys people will brag about, toys that people will proud to display, toys that people will tenderly cared for. 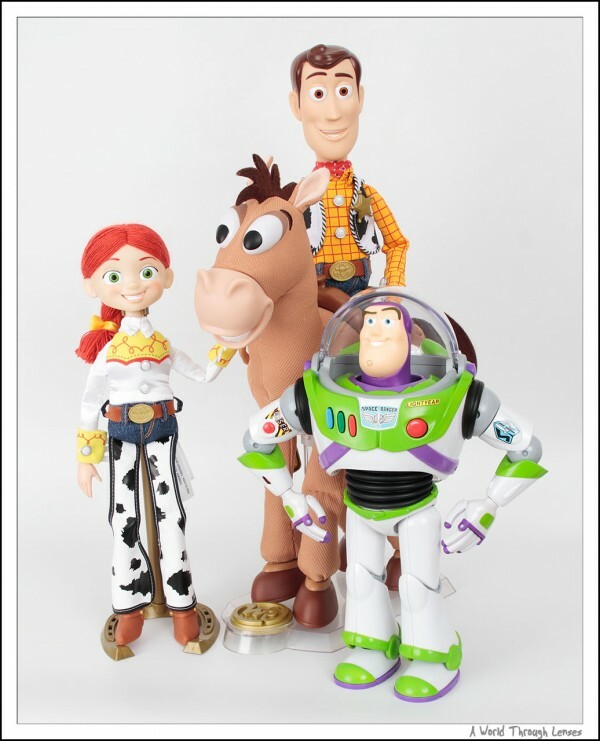 They certainly have the price tag for it, at $60 CAD each, these four Toy Story figure/dolls cost me $240 CAD. That’s over $270 CAD after tax. Yet they lack in just about every single way as a collectable. I’m going to show you a Japanese 1/7 fixed pose figure as a comparison here. 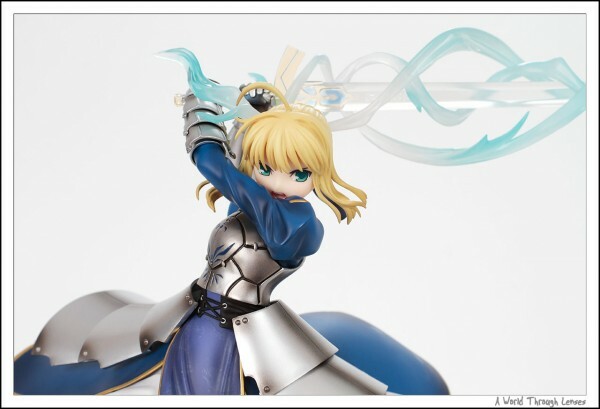 This is Saber ~Triumphant Excalibur~ by Good Smile Company. This figure was release in 2010 in about the same time frame as Jessie and Bullseye. 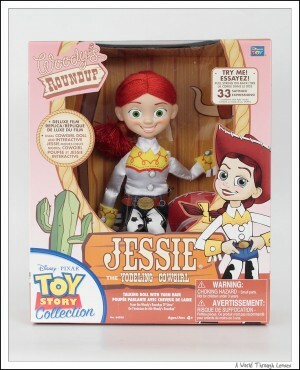 It stands about 25 cm or 10 inches tall, so it is a fair amount smaller / shorter than Jessie which stands about 14″ tall. But just look at the detailed yet beautiful paint job that was done on this much smaller figure. Here’s a zoomed in photo of it. Look at the complexity of the figure, look at the crispiness of the paint lines, look at the smoothness of the various of pieces that goes together, how well they fitted, look at her eyes, look at her mouth, look at her teeth. I can hardly find any fault in this figure. Now THIS is a collectable toy. Now let’s compare that with a zoomed in shot of Jessie below. The paint on the hat goes out of the line and is not even showing some red colour throught, painting of the eyes runs out of the socket, there are some pink colouring showing through her white teeth, some area that should have been her teeth is not even covered in white paint making her mouth looking a bit weird, there’s a thread coming out of her shirt collar, need I go on? This is NOT what I would call a collectable toy. 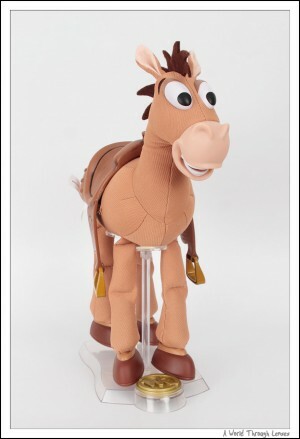 Sorry John Lasseter, you might be the father of Woody, Buzz, Jessie, and Bullseye, but these toys certainly does not deserve to bear your signature on them. And Thinkway Toys, you do not actually think about your toys. While that’s fine when you produce a $10-$20 children’s toy, it is not acceptable when you are marketing a $60 premium collectable replica. You have much to learn from Japanese companies. In the end it looks like toys are like automobiles, those built by North America company can only target general market. Yet Japanese companies can make general market cars with quality that matches that of the premium market. Okay no more dolls for the general North America market for me, I need to go back to my Japanese market Dollfie Dreams. Jesus CRISPS, it appears that the Japanese model market has left you a bit spoilt. Presumably, you bought these TOYS with the clear intention of thinking they were replicas. May I point out, that the main purpose of these “replicas” was to replicate the toys in the movies, down to the being a PLAYTHING part: though collectors were made in mind with these products, these were built with more of a “toy” viewpoint rather than a “model” view; because they were manufactured by a company primarily in the TOY industry, not the scale statue industry. In terms of Woody’s face, I assume the eyelids were put in to soften Woody’s stare. 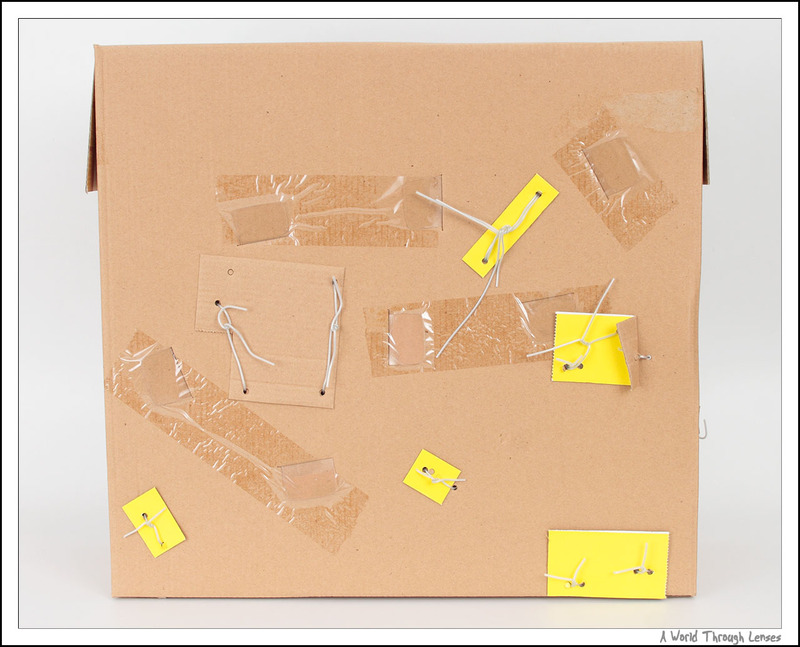 Scratches and nicks are a result of poor handling during packaging and shipping, after all, they’re toys. Paint slopping a bit around the mold is typical of ANY manufactured toy. (And considering how that’s how the majority of the characters in the film were made…) Compared to Japanese models, this type of toy naturally falls somewhere between modeling and playing, much more like an moderately expensive Transformers product. For example, see how Jessie cost 60 USD. 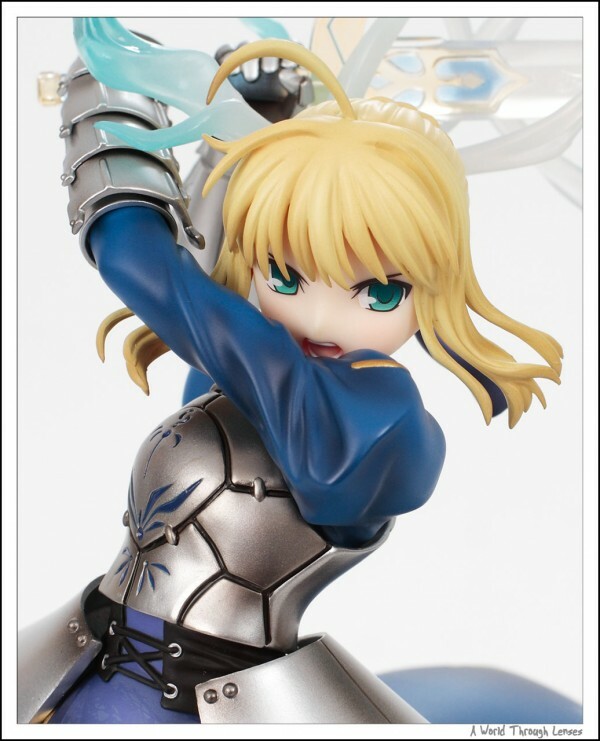 In comparison, Saber is typically sold at around 212.95 USD, because of how painstakingly painted her model was, the crisp sculpt, etc, etc. Big difference in price, and the amount of labor you pay for. It seems that other than a few like you, that think the “toys should have been quality toys, collectable toys…toys that people will proud to display, toys that people will tenderly cared for”, that’s pretty much how the general majority of the people who own these toys behave about it. If Buzz was Mr. Potato Head, then your review here would seem practically stupid. Because Mr. Potato Head is an existing TOY, and looked at and played with as one, not a character formulated for the movie. While I agree these toys are certainly just toys and not too much more, but that should have been what the $30 version of Jessie (for example) is for. This $60 version of Jessie is twice as expensive as the $30 version yet not offer a lot more (as far as quality is concerned) over the $30 version Jessie has already provided. And while you think it is more of a toy, the certainly did not market it as such. Your average toy certainly does not come with a certificate and have wording all around the box to make it appear as a real “collectable” item. Also I would like to point out, that Saber might be selling in your local market for over $200 USD today. When I bought it from Japan directly, I only paid about $100 USD for it. So yes it’s 40% more expensive than say Jessie but certainly is not 250% more expensive then way you make it out to be. Also it’s able to sell for over $200 USD because it’s harder to buy for your average Joe here and that it has a superb paint/build quality. I can be pretty sure that the $60 Jessie will stay at $60 because that’s the price I found them to be 2 years after they are released. As for Saber being a statue and doesn’t move, well there are a LOT of action figures (Figma, Nendoroid) from Japan that has way better build/paint quality dollar for dollar compare to the action figures that’s generally targeted here in North America. 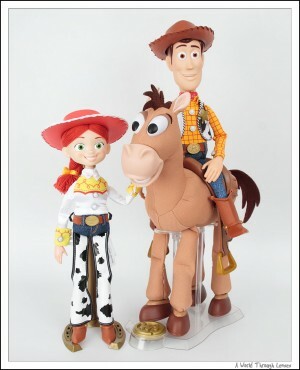 BTW, the Kaiyoko’s Revoltech Woody and Buzz Lightyear is actually REALLY good. Compare to the ones that are offered here. Honestly it’s not about being spoiled. It’s about wanting the maker to offering more quality. It’s like that Ford that has poor quality plastic and fitting (but it works so most doesn’t seem to care); in my case 4 doors with one not closing 100% properly even after dealer adjustment (again no one including the dealer doesn’t seem to care). Yet my almost 10 years old Japanese built Toyota that cost about the same has no quality issue that I can pick out. Seems here in North America, for as long as it somewhat works, it is acceptable. No need for it to have something above and beyond what’s acceptable. People will just say: “You should be proud that it’s built locally.” Well I for one will be proud it is local when it is actually better. So for example, to me, the iPhone beats everything Asian or the world market has to offer. So that’s something North American can be proud to say it is designed (unfortunately not built) here. But toys… no…. With the this is just a toy mentality, no wonder all toys here in North America are cheaply built crappy things. And there use to be really fine toys that are made here, but certainly that’s not the norm any more. The toy market here are filled with cheap/crappy items and these not so “collectable” collectables that’s there just to squeeze a few dollars out of the old stupid me. FINALLY! SOMEONE WHO UNDERSTANDS THE FRUSTRATION OF THE TOY STORY TOY LINE! I WANT A REAL WOODY WITH THE GENUINE SMILE HE HAS WHEN HE IS IN HIS ‘TOY’ MODE. 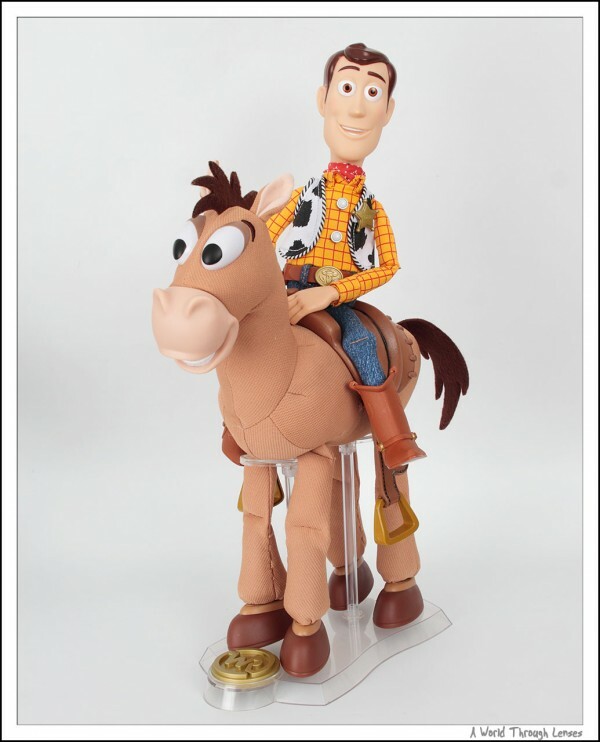 I don’t want a Woody with a gaping mouth… lol. These are pathetic and I couldn’t make myself buy any of them. I was really disappointed. Don’t get me started on Buzz. I bought a Buzz from Toysrus Finland. No head movement. Opened the box, changed the battery, changed the switch to “on”, etc..No head movement, helmet not responding properly, poor interactivity. Went to exchange Buzz at the store. Went through 10 Buzzes, not a single one was moving his head. Finally chose one (no, no head movements). Complaint to Thinkway Toys that no Buzz in Finland is working properly, a bunch of faulty products. At the price tag of 80!!! euros at the Toysrus (let’s rip those Scandinavians off, shall we?!). What did Thinkinway Toys reply? Oh, it appears the production of the Scandinavian Buzzes is different than for North America? Gee, really? An inferior SAME Buzz (with certificate) at a much higher price tag! Not to mention that German and British Buzzes turn their head, so I guess only we Northerners should be satisfied with what we get. 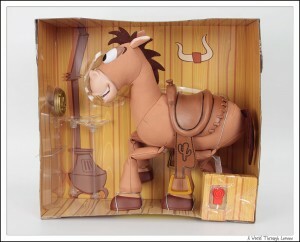 Should be getting Woody from Amazon.co.uk in a couple of days…Let’s see how that will turn out. 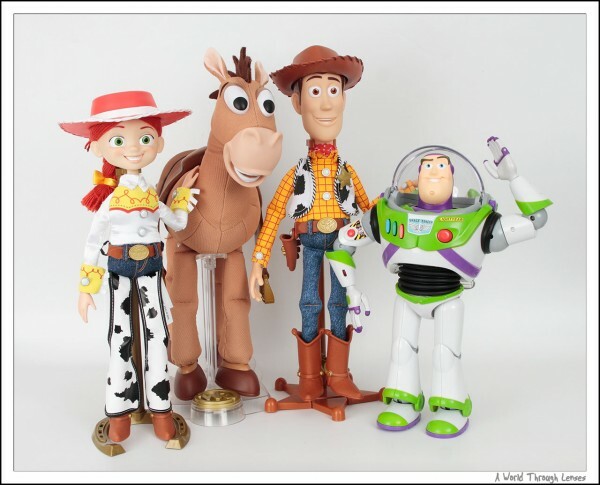 My son wants the Hawaiian Buzz, Woody and Jessie..hmm..I don’t know..should I give more money to Thinkway Toys? I just bought a Woody doll from the Disney Store line for Xmas. I am very happy with how it looks and now that I’ve read your review on the high end woody, I’m glad I didn’t fork out $70 Canadian for the collector version. My disney store woody is great and he was on sale for $17 Canadian so I’m very happy. Glad to be of some help here. I agree for $17 the toys are great. For $30 I probably still would have nothing to complain about. For $60 + Tax, it was certainly way below my expectations.